We will be taking a break from Friday Night Bible Study until the 23th March (so don’t make the mistake of coming on the 9th March!). If this break brings upon you the sudden epiphany of not knowing what to do next Friday night, then make sure to check out our upcoming Badminton Night on the 16th March. The first Youth and Young Adults (YYA) night of 2018 will begin next Friday on the 2nd February at 8pm. Join us for a night of worship, bible study and fellowship! For more information, there will be an induction session after our regular Sunday Service on the 28th January. This year we will be studying the Gospel of John which focuses on the major miracles performed by Jesus and his glorification through crucifixion. If you think you’d be interested in this book of the Bible, please do feel free to join us on Friday nights at 8pm. Both Christians and non-Christians are more than welcome to join. There will also be a new change this year where we will be hosting some sort of activity (badminton, kBBQ, bowling, etc) on every 3rd Friday of each month so feel free invite some friends and chill with us. I hope you’ve all enjoyed the recent Trivia night (what an amazing turnout!). It was nice to see people show their competitive side and also bond through sharing and prayer at the end! YYA bible study and fellowship will be taking a 2 week break and returning on the 21st July. In the mean time, I hope you will all have a good rest and come back refreshed to learn more about the book of Isaiah! It was great seeing so many people at badminton and discussing questions that were meaning-of-life deep and at times not so deep as well! YYA Bible studies and fellowship is on break for 2 weeks with the school holidays and Easter weekend. There is an Easter service on Good Friday as well, so make sure to come! Hope you continue having grace-filled conversations and God-filled devotions! Sharing & Review Night on Friday 11th November! We finished the last of our Bible studies last Friday, and the high schoolers had a great time hanging out at Pancake Parlour afterwards! How did you apply the things we’ve learnt to overcome a difficult situation this year? Which Bible passage do you like the best from Bible study this year and why? Which Bible passage from our studies stood out to you and why? Which book did you like the most this year and why? Please note, there will be dinner, so come at 7pm! This Friday, we’re having the last Bible study of the year. Come join us as we delight in God’s word together! Also, the high schoolers will be going on an outing after Bible study; please remember to tell your parents and RSVP with your Bible study leaders whether you’ll be picked up or want to be dropped off! Next Friday the 11th November, we will be having a Sharing night – we encourage you to think about the studies this year, and a couple of the prompting questions from the previous post! After that, we’ll be doing Christmas celebration night preparation up until the night on Saturday the 17th of December. With last Friday beginning our last block of bible studies for the year, this Friday, we’ll finish studying 1 John. Come join us as we delve into God’s word and encourage one another in fellowship! As usual, the Bible study notes are up and so are the rosters. Don’t forget to come to the AGM on Sunday, or hand in your proxy form by Friday! Trivia & Sharing Night on Friday! We’re starting up our Friday nights again this week, and will be having a Trivia & Sharing Night! This event is completely open and free. Doors open at 7:00pm for dinner, and we will end by 9:00pm with dessert. Don’t hesitate to invite friends, family or anyone who are interested in the Christian faith, because this is a great night to learn all about it! Feel free to invite them to the FB event and RSVP there as well! It’ll help us for catering purposes. For more information, feel free to post a question on the FB event wall, ask a friend from MCCC or contact Samuel or Hanan. If you want to prepare for the bible study on the Friday after Trivia night, the notes are uploaded on the web page, so do have a look! This Friday the 16th, we’re having another week of bible studies in 1 John chapter 3. 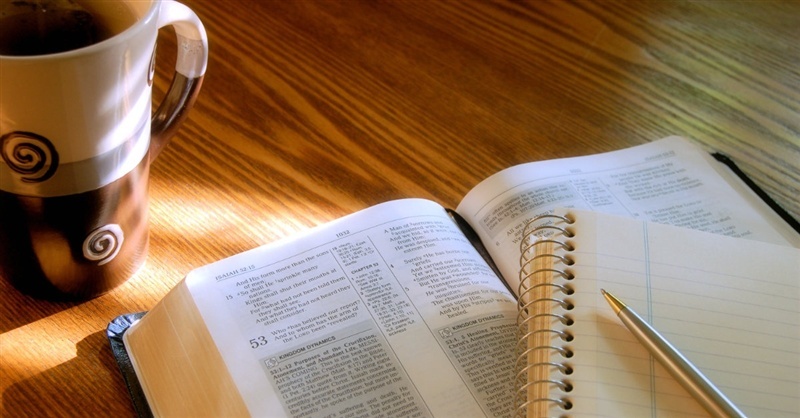 Do read the bible study notes! After that, YYA or Friday nights will be on break for 2 weeks. For those going to the Connect Training Conference on the 30th, have a good and intense time of edifying, training, bible study and fellowship! We’ll come back on the 7th of October with an Activity Night! The Sunday after will be the anniversary service too. Stay tuned for more information!